Cutting-edge testing, research and development is a critical part of our offering. We pride ourselves on producing final components that meet the exact specifications and requirements of our customers. 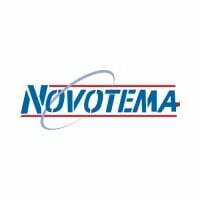 Novotema’s laboratory is used to ensure that this is always the case through consultancy, research, development, testing and analysis of polymer materials which are carried out by our team of specialist engineers. Our team of experienced engineers will determine the root cause and mode of component failure in the field. Working to determine the correct elastomer materials and compounds for the application. If it does not already exist in our extensive database, the laboratory will work closely with our polymer suppliers to define a completely new compound suited to the needs of your project. The compounded material is verified to ensure it conforms to industry specifications and regulations before production. Laboratory testing of components at various stages of production ensures the highest levels of quality throughout the process. Mechanical tests and evaluations are carried out on the final product/s to ensure the physical properties meet the specified requirements. Test data is also used in FEA simulations and operating model predictions. Validation that Novotema materials meet customer specifications such as automotive manufacturers. Identification of the most suitable material for your application. Determining the root cause and mode of component failure in the field. Evaluating the performance characteristics of seals to aid FEA simulation. Our laboratory tests cater for applications throughout some of the harshest industries and environments including oil & gas, medical and food & dairy. Climate chamber for conducting tests in hot, cold and high humidity environments. For assistance with your industry specific application, contact us to discuss your requirements, or chat with us online. Failure analysis – determine the root cause and mode of component failure in the field. Chemical compatibility – immersion testing to determine the best polymer material for specific chemical environments. Thermo-mechanical evaluation – measure the physical properties of materials at various temperatures to ensure they meet application requirements. Test data is also used in FEA simulations and operating model predictions. Contact us to discuss your requirements, or chat with us online.